We’re smack dab in the middle of winter and, to be honest, I really miss spring (seasonal allergies and all). 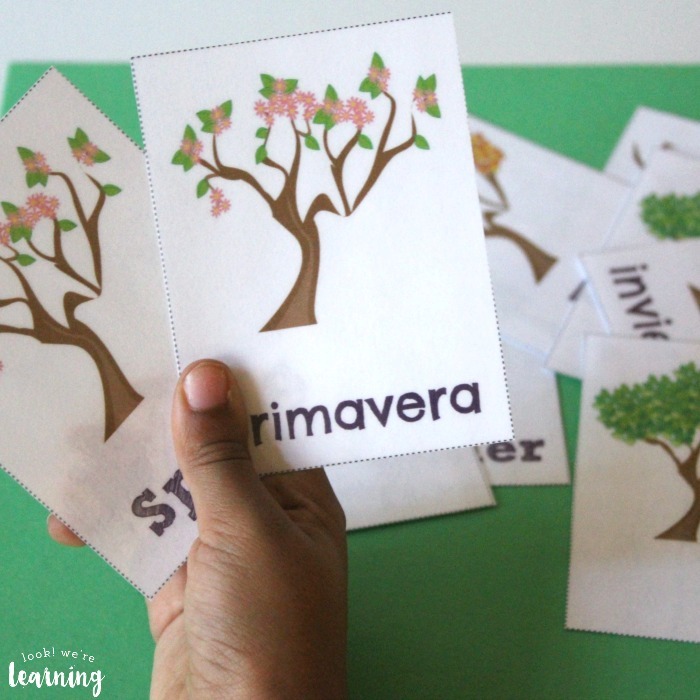 So I thought it was a great time to introduce our kids to the Spanish words for the seasons. It’s as close to spring as I’m going to get for the next two months…lol. 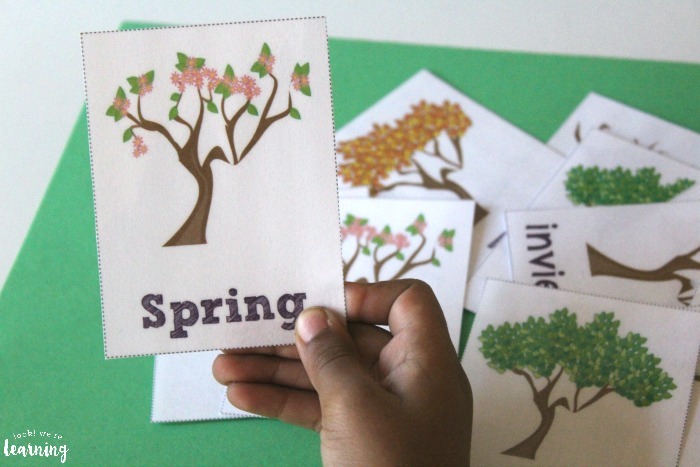 To learn how to say the seasons of the year in Spanish, we put together a set of free printable flashcards: English and Spanish season flashcards! 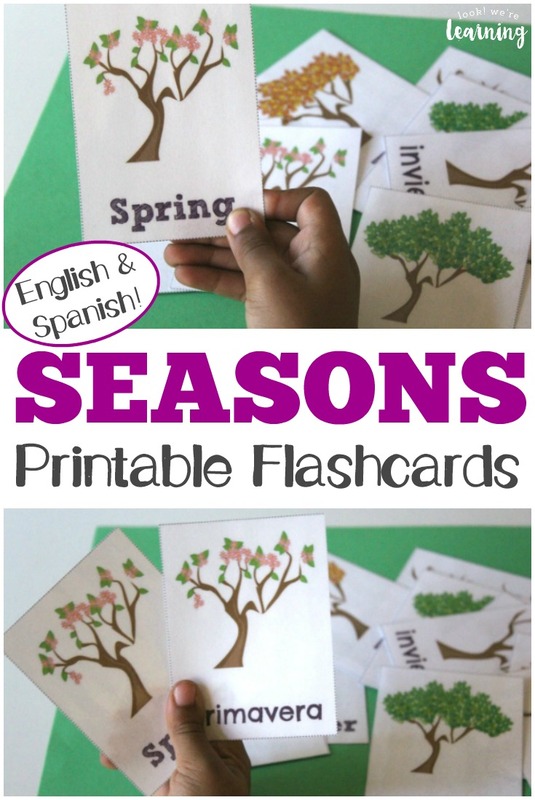 These are perfect for learning how to talk about seasons of the year in English and Spanish, so they’re good for early learners, ESL learners, kids who are learning Spanish, and more! Read on to see how to get your copy – Free! 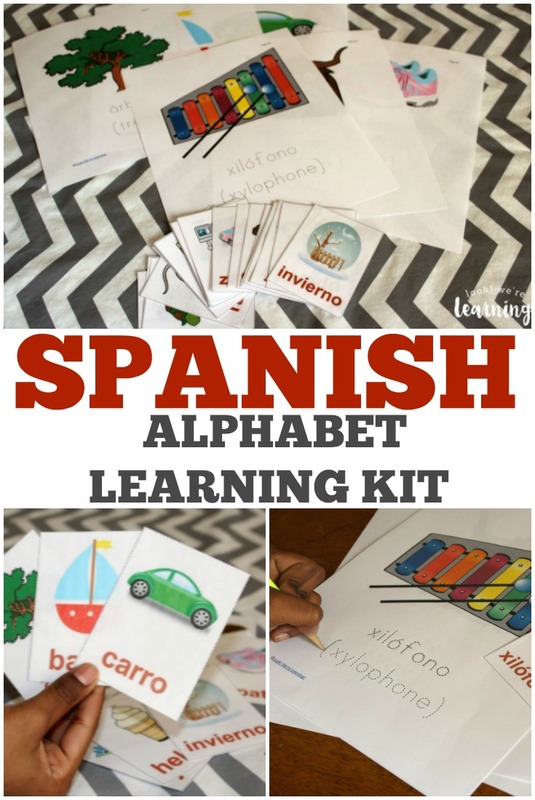 If you love these, don’t miss our A to Z Español Spanish Alphabet Super Pack! 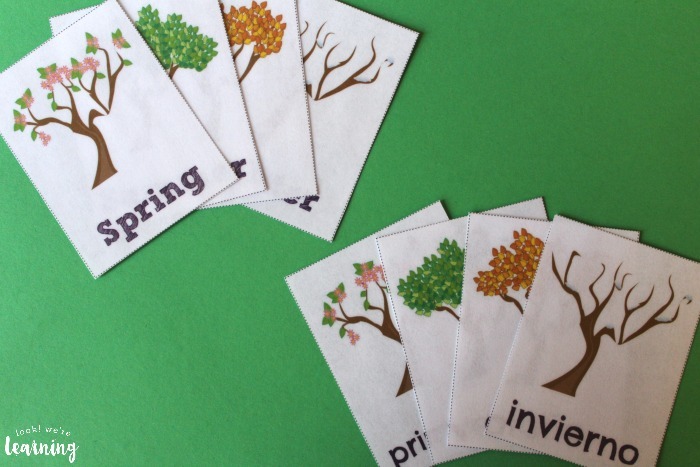 These flashcards include all four seasons of the year in both English and Spanish. And a pronunciation guide is included! 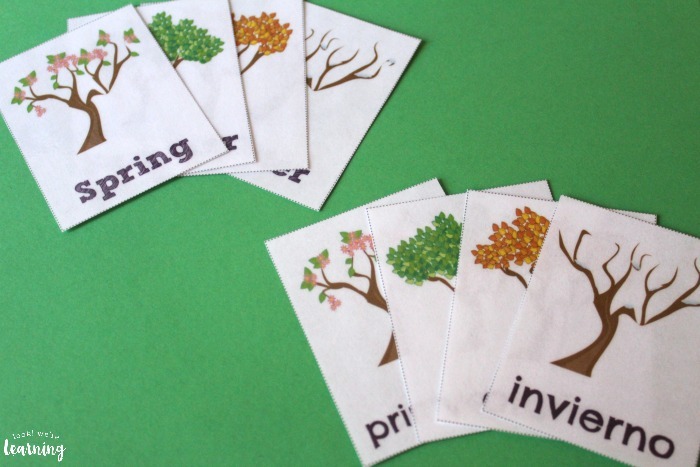 That means you can use them to teach the seasons to your preschooler, to play a matching game with your toddler, or to teach Spanish season words to learners of any age! One set features English season words, another set features Spanish season words, and a third set features the pictures only for reviewing and quizzes. 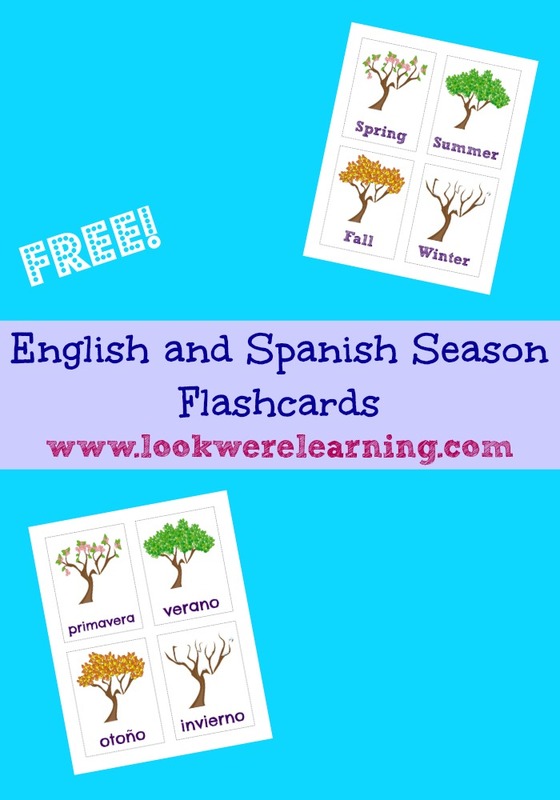 Scroll down to get your free English and Spanish season flashcards! 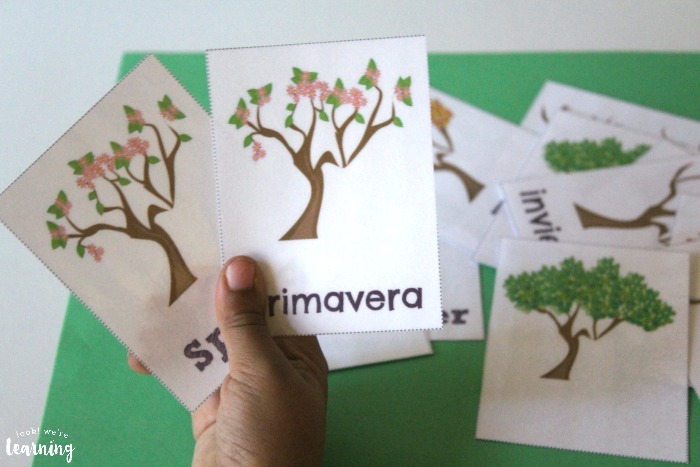 If you’re interested in learning even more Spanish vocabulary, don’t miss these printables! 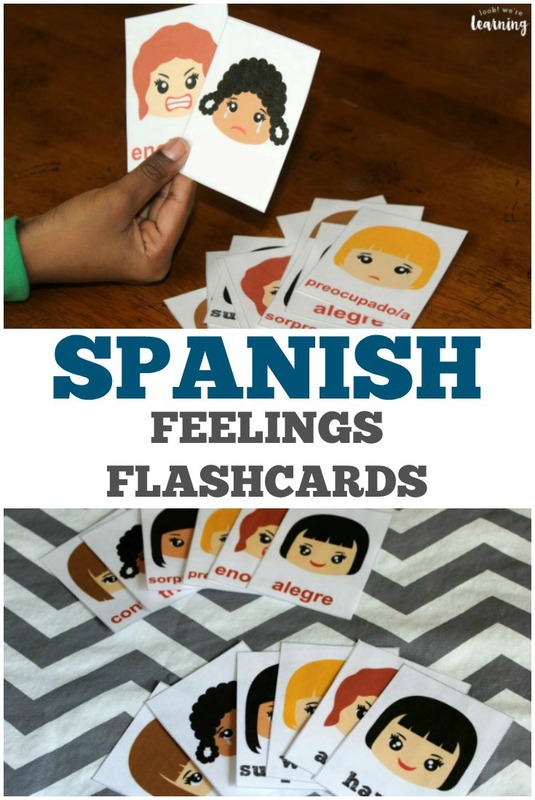 And get more ideas for learning a foreign language with the kids on my Foreign Language for Homeschoolers Pinterest board! 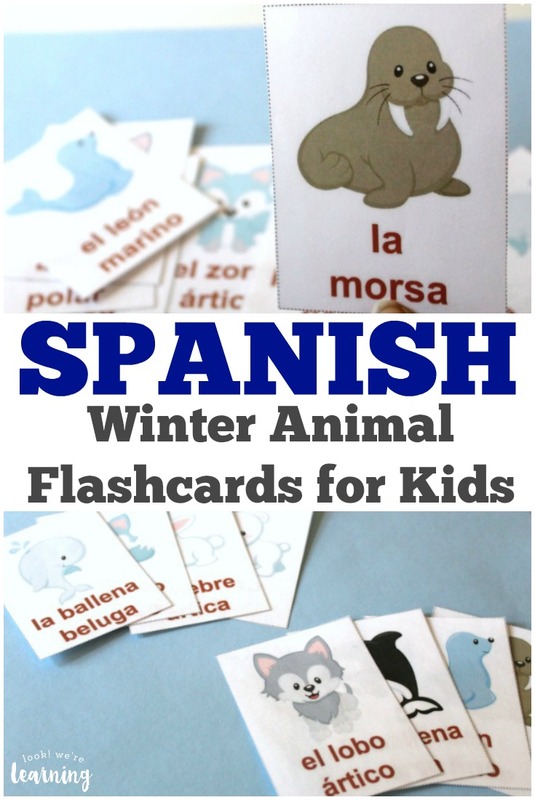 To get your set of English and Spanish season flashcards, sign up for our email newsletter! You’ll get these flashcards, plus lots of other exclusive learning printables in our special subscribers library! Thanks for hosting and thanks for featuring my post about accreditation.